One of the largest expenses of running a business today is the cost of providing and maintaining property. Make informed decisions and deliver increased value by using the right tools. Reduce risk and maintenance costs through proactive lifecycle management of your facilities. Implement strategies for maintenance, energy efficiency and utilisation. 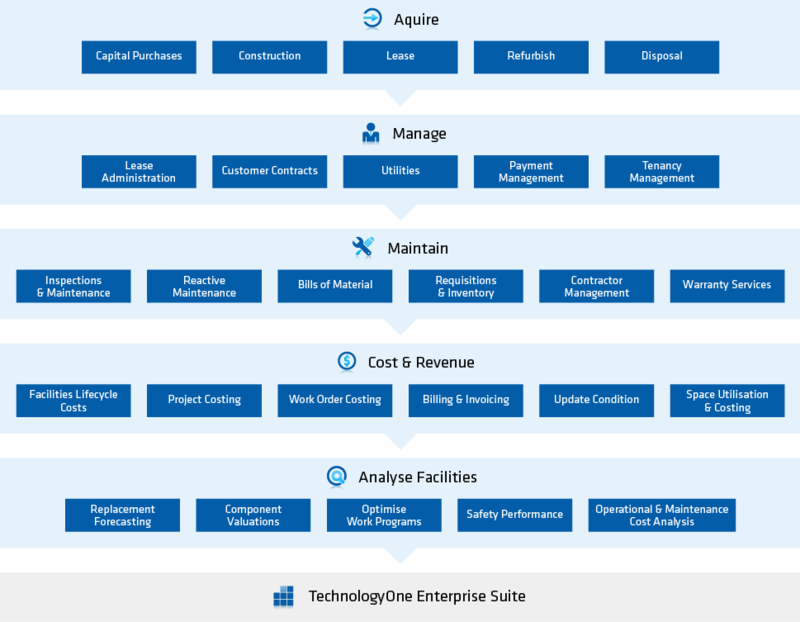 With TechnologyOne's Property and Facilities Management solution, you can manage the full asset lifecycle of your property and facilities, from development and acquisition, allocation and utilisation, scheduled and reactive maintenance, and planning for renewal.